The Dambulla Cave Temple is located 145km east of Colombo and 74km north of Kandy in Srilanka which is the best preserved and biggest cave temple complex in the country. 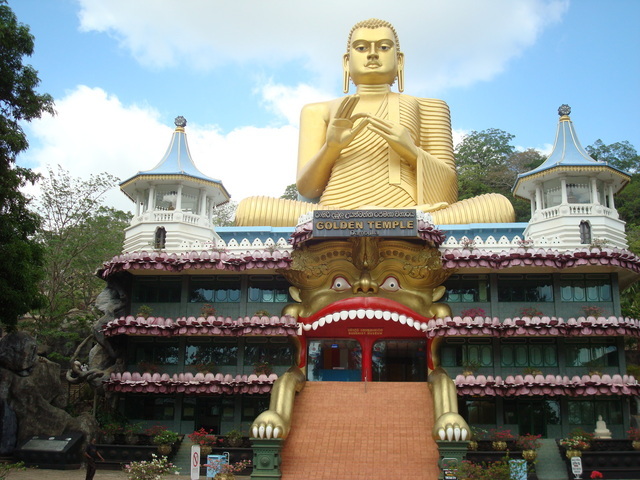 It is also recognized as the Golden Temple of Dambulla and a World Heritage Site in Sri Lanka. The Rock tower (162m) and more than 80 recognized caves over the surrounding area, this is the facial appearance of this place. Main attractions are spread over 5 caves containing statues and paintings. 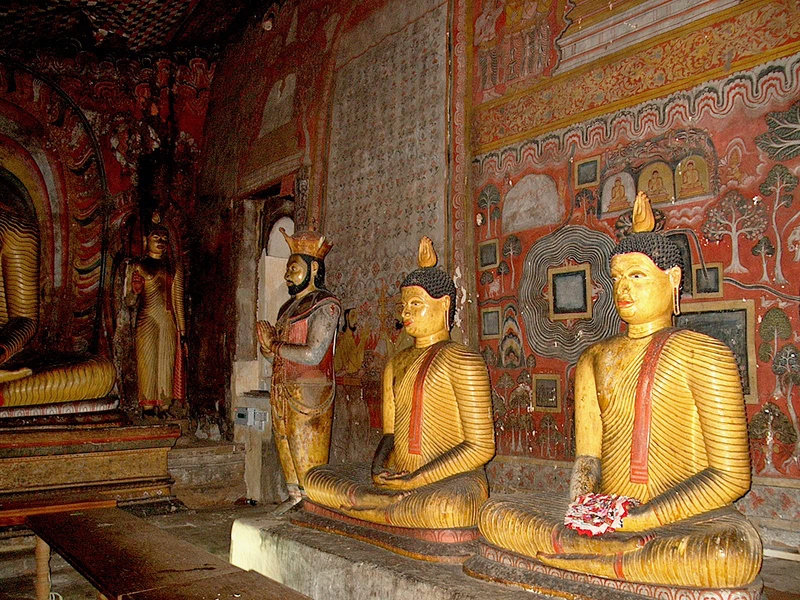 These statues and paintings are connected to the Lord Buddha and his livelihood. This Cave temple contains 162 statues including 153 Buddha statues, 3 statues of SriLankan kings, 4 statues of gods & goddesses and last 2 statues of Hindu god Vishnu and the god Ganesh. Primitive Sri Lankans would have survived in these cave compounds before the arrival of Buddhism in Sri Lanka as there are committal sites with human framework about 2700 years old in this region, at Ibbankatuwa near the Dambulla cave compound. The temple is composed of five caverns which have been converted into holy place. Entrance is beside the pleasant slope of the Dambulla Rock, offers a panoramic view of the neighboring plane lands which includes the rock citadel Sigiriya about 20km away. The sunset brings hundreds of pouncing gulps to the cave entrance which makes you more delighted.